Announcing the 2015 Photography, Expanded Fellowship! Magnum Foundation is pleased to be partnering with the Brown Institute for Media Innovation at Columbia’s School of Journalism to launch the 2015 Photography, Expanded Fellowship, an initiative that supports innovation at the intersection of technology and documentary practice and cultivates interdisciplinary ideation and production. This fellowship offers an opportunity for photographers to collaborate with technologists to expand their practices and to develop new forms for narrative storytelling to more effectively address social issues. Magnum Foundation and the Brown Institute for Media Innovation are proud to award Photography, Expanded Fellowships to Peter DiCampo‘s “What Went Wrong” and Zun Lee’s “Fade Resistance.” Zara Katz and Lisa Riordan Seville will also receive a project development grant for Women on the Outside. These three projects exemplify the mission of the Photography, Expanded Program through their exploratory approaches to collaboration, exhibition, and dissemination. Pushing at the seams of documentary practice, they seek to fill representational gaps within the non-fiction paradigm of photography. Based at the Brown Center for Media Innovation, Photography, Expanded Fellows will work with designers, coders, and advisors to develop platforms for sharing and engaging the public with their projects. Photography, Expanded Fellows will present their work during the Photography, Expanded Symposium on November 1st. “What Went Wrong” is a participatory photo project that questions the dominant narrative surrounding the value and efficacy of development aid in Sub-Saharan Africa. Estimates of aid money sent to Africa since the 1940’s reach as high as a staggering $1 trillion, yet prominent economists hotly debate whether the impact of aid has been a boon, a curse, or completely ineffective. Many raise questions of dependency and even a cultural inferiority complex, and wonder how the continent can best move forward — will increased aid spark growth? Will less aid lead to self-reliance in the long term? There are, however, several vital pieces missing from this debate: consistent journalistic investigation, local perspective, visual history, and frank discussion on what forms of aid do and do not work. What Went Wrong is an attempt to fill these gaps. 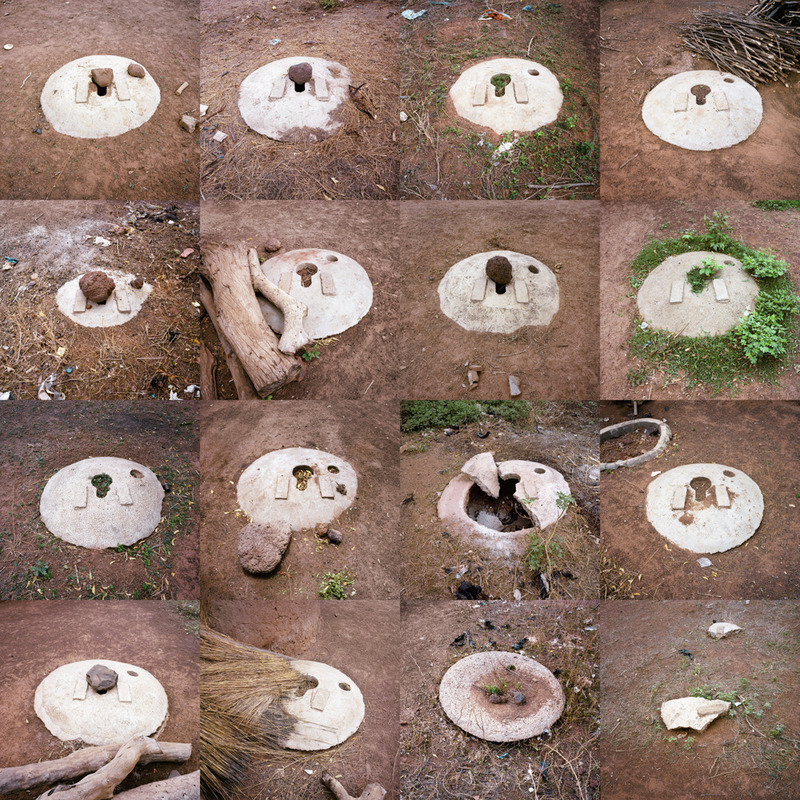 Peter DiCampo, Unfinished latrines. Wantugu, Northern Region, Ghana. 2014. “Fade Resistance” is a project that seeks to restore the narrative impact of thousands of found African American vernacular Polaroid photographs, and to fill a representational gap in the history of American snapshot photography. Through the development of an interactive archive and storytelling platform, “Fade Resistance” will invite viewers to participate in the collection, organization, and narrative arrangement of African American vernacular imagery. Additionally, this archive will serve as a meeting ground for writers, photographers, historians, and viewers to draw histories, stories, and meaning from generations of self-representation. We hope that this will inspire multidisciplinary conversation about ongoing issues of visual representation and agency in African American communities, situating the context of this archive in today’s contemporary landscape. “Women on the Outside” is a project that seeks to broaden awareness on the challenges and experiences of women with incarcerated loved ones. Through a series of portraits and an ongoing, question-based dialogue between women throughout the United States, the Everyday Incarceration team will create a web-based platform that invites viewers to witness and engage in the realities of women who are separated from incarcerated partners, family members and friends. Jacobia Dahm, Carolyn Beauford. Carolyn is one of 10 family members who attended the cookout hosted by Bridging the Gap bus company, which provides transportation for families to select Pennsylvania prisons. Carolyn wears a shirt that reads, “Parole Lifers” to support her brother-in-law Kevin Coleman. He is serving a life sentence without the possibility of parole. Pennsylvania’s harsh sentencing laws has at least 5,000 people serving life without the possibility of parole–the second highest tally nationwide. Carolyn goes to visit him at Dallas, a state prison 122 miles from Philadelphia. It takes at least 2.5 hours each way. Third Annual Photography Expanded Symposium! Announcing the Inge Morath Award Winner!